Latin American food is seriously one of my all-time favorite things to eat. I never get tired of eating it, and I’m always looking for new recipes to try. 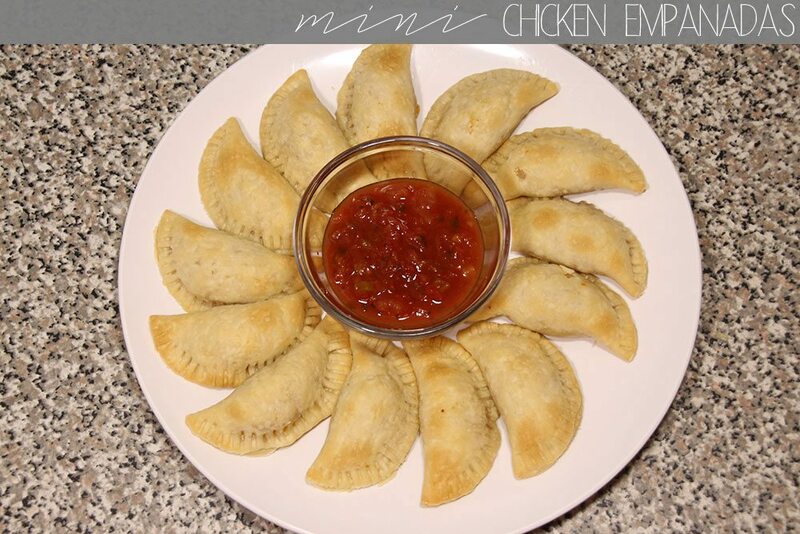 Somehow I’ve gone my whole life without ever having empanadas, so when I came across a recipe for mini chicken ones, I knew I had to give them a try. 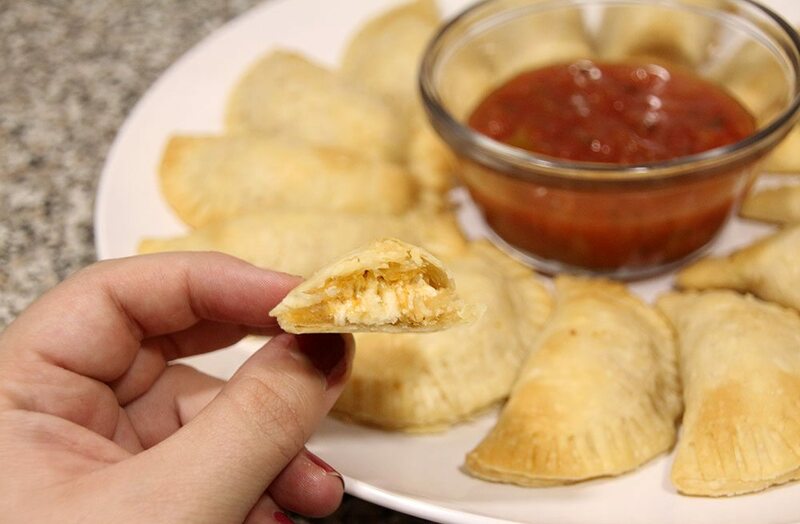 These would be a perfect party appetizer (or game day snack once football starts back up! ), but TJ and I actually had some for dinner the other night. 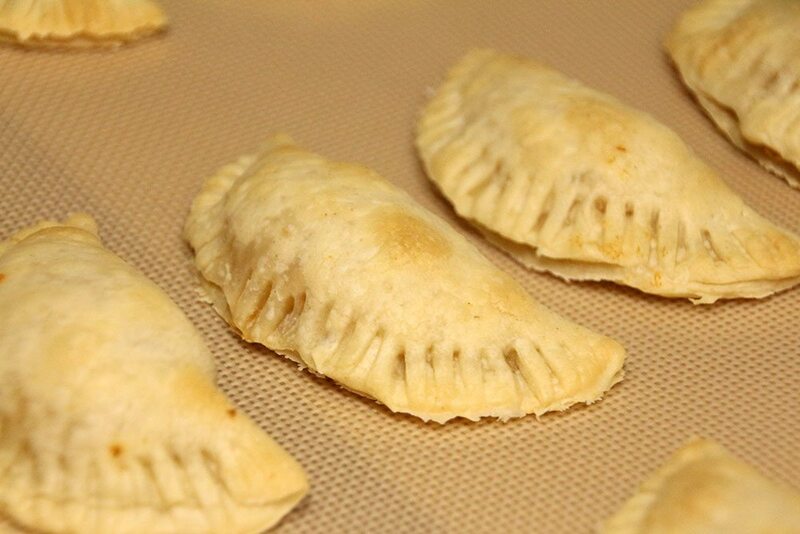 The shell is buttery and crusty and the filling is a little spicy, making for the perfect combination. Boil the chicken breast 10-15 minutes, or until no longer pink. 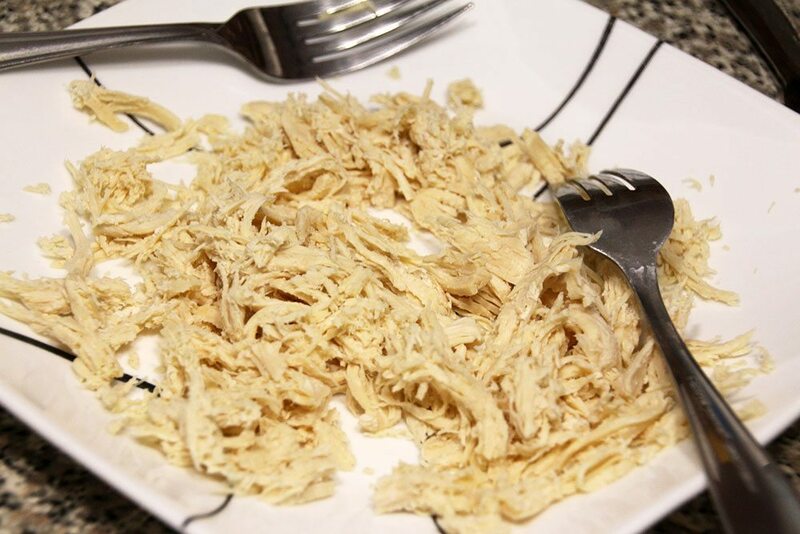 Use two forks to shred the chicken completely. 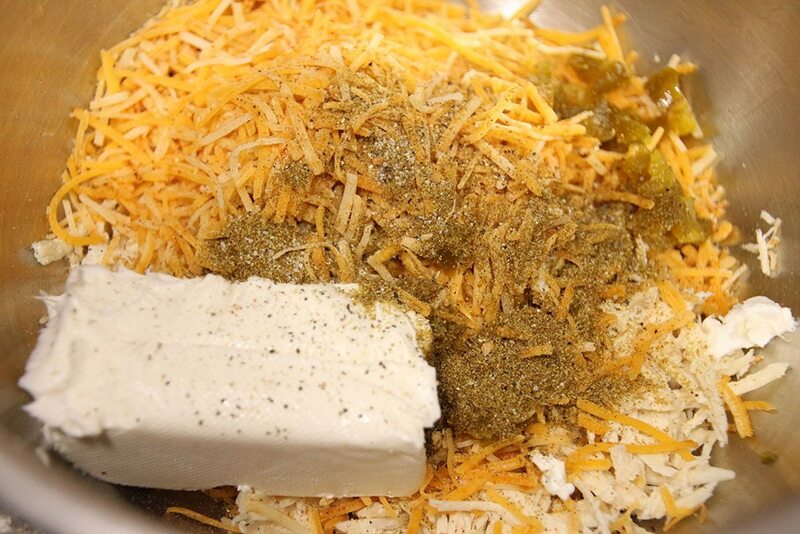 In a medium bowl, combine the chicken, shredded cheese, cream cheese, jalapenos, jalapeno juice, cumin, salt, and pepper. Unroll each pie crust. 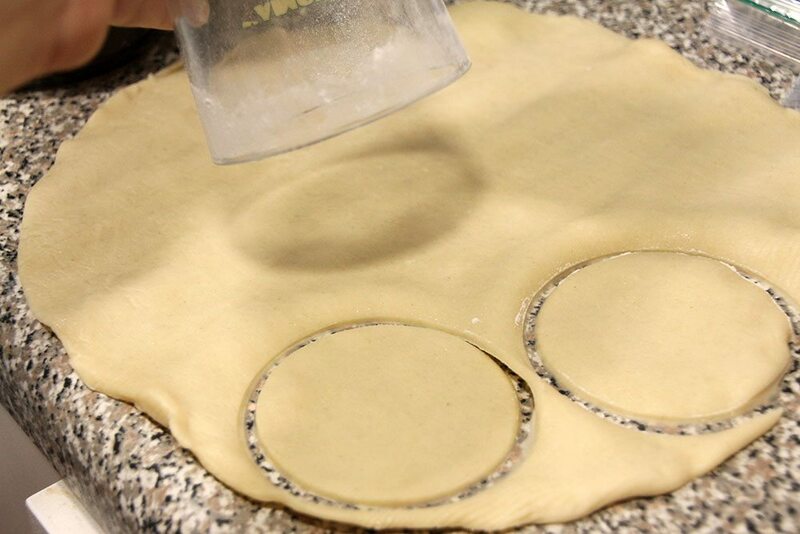 Dip a drinking glass in flour and use it to cut circles into the pie crust. 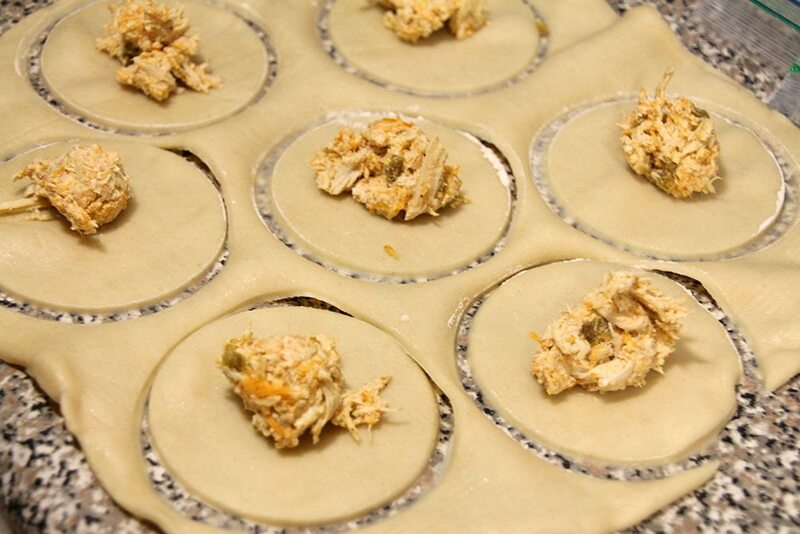 Place a heaping teaspoonful of the chicken mixture in the center of each circle. Use a finger to brush the edges of each circle with water, then fold in half. 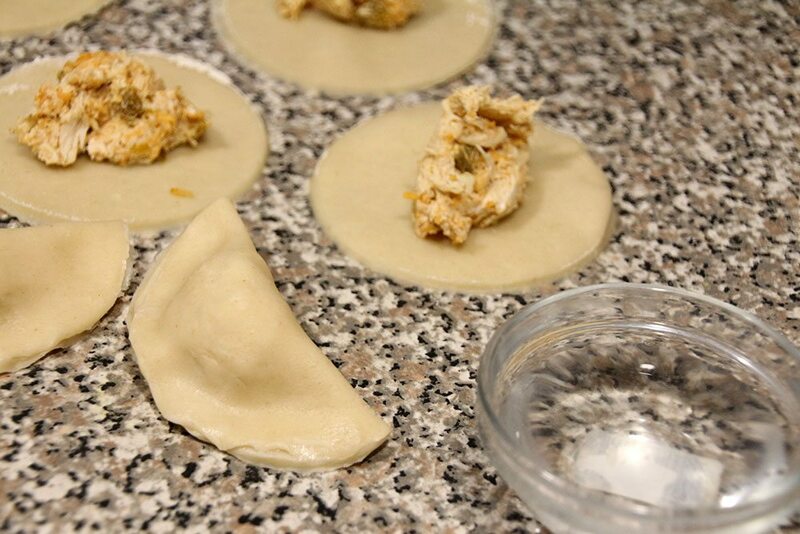 Roll out any leftover dough and repeat until the dough is used up. 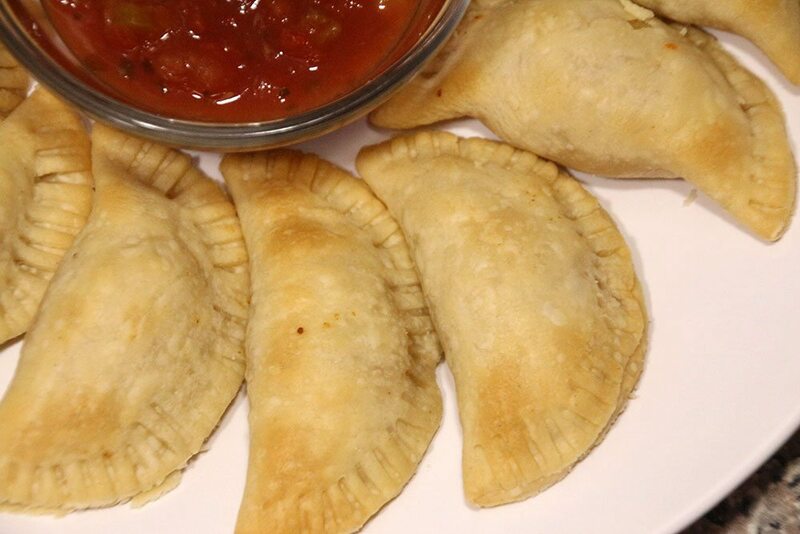 Place the empanadas on a lined baking sheet. 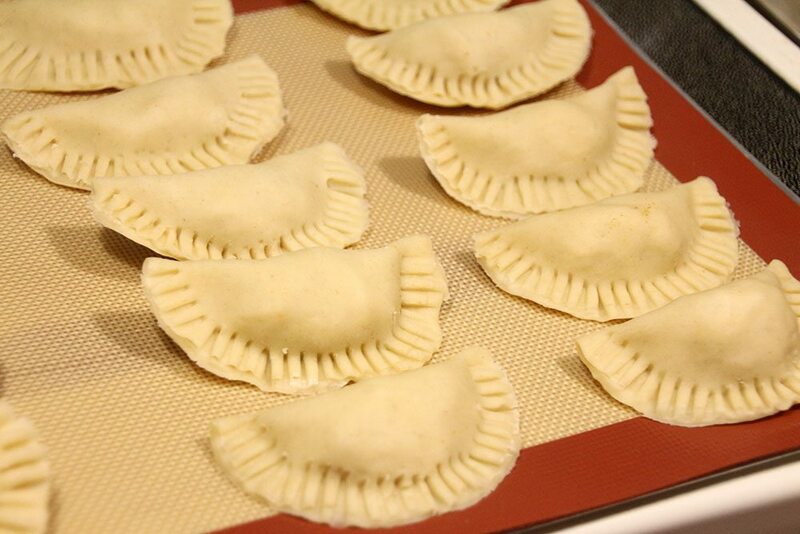 Using the tines of a form, press the edge of each empanada to seal. Bake at 400 for 12-15 until golden brown. These look amazing! I am going to have to try them soon. Thanks for sharing. They seem so easy to make! I might have to try it! They’re super easy! 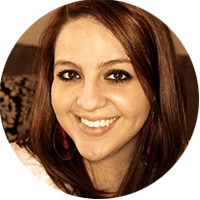 I’d love to hear what you think if you make them! 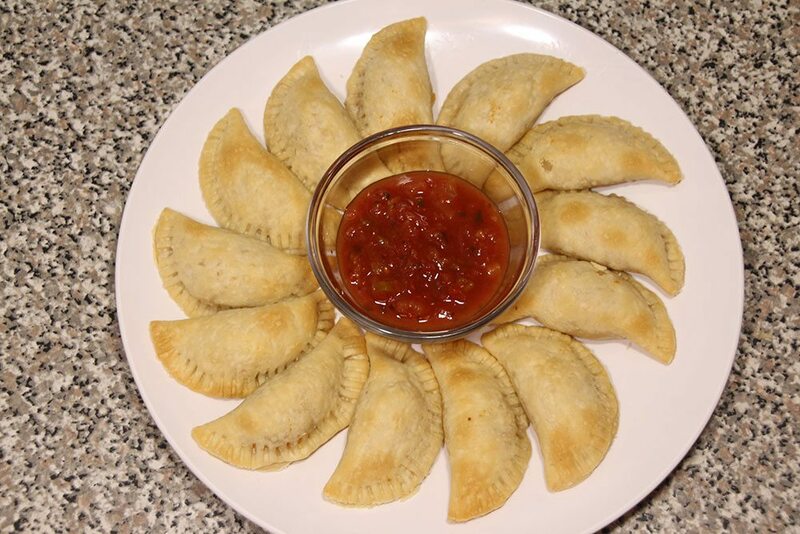 I love chicken empanada! Thank you. This is a super-easy recipe.